Having worked at various legal service agencies in the Boston Area, including GBLS, LARC, BARCC, and MHLAC, we have often found ourselves frustrated when the organizations would turn away divorce clients because they did not have the resources to assist them. If we were lucky, our supervisors would allow us to research divorce law and provide these clients with a brief phone call or a quick email about the process. But this type of assistance would often leave us unsettled because we felt like we were leaving our clients confused about the legal process, unaware of the importance of certain details in the legal forms, and alone in the abyss of the mass.gov website. We created DivorceDecoded with a simple goal. 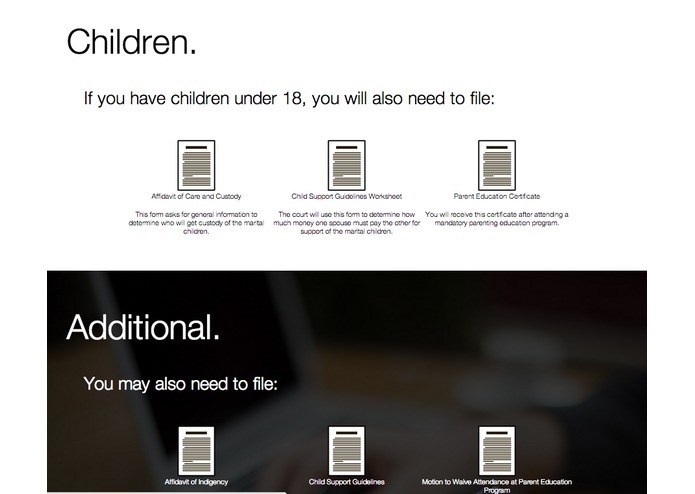 We wanted to create a self-help, user friendly website that legal advocates could reference when describing the divorce process and timeline. 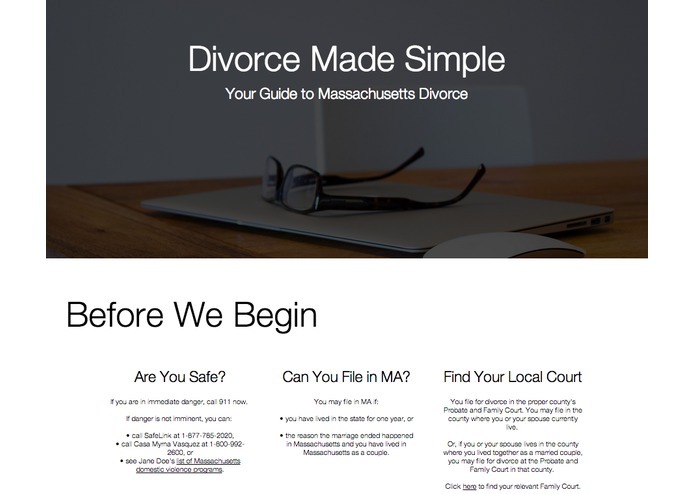 Most importantly, we wanted to create and easy way for clients to access all of the Massachusetts divorce forms and understand their purposes. 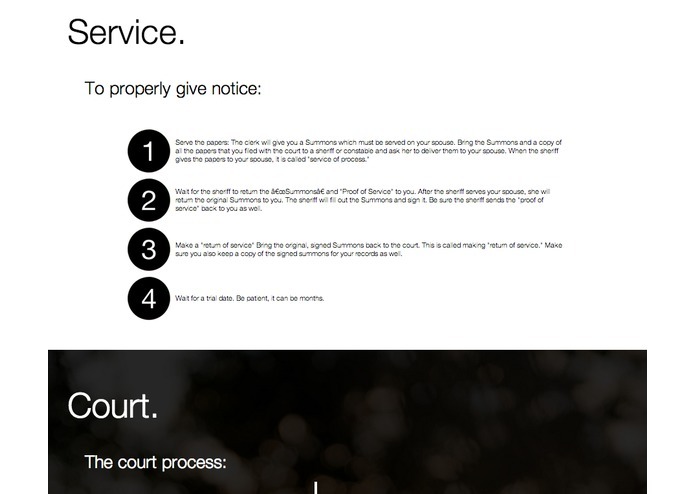 The website is not meant to be all-inclusive but rather a starting point and shell outline of a simple divorce. We assume that if things get more complicated, clients can look up terms or other issues on the internet or consult a lawyer. For the purposes of this competition, we focused on the most common type of divorce client we've experienced in our legal services work: a female client seeking a one-sided divorce from an unhealthy marriage. In the future, we hope to include separate links for no-fault and fault divorce. We also hope to expand our resources page to include a directory of other legal service, domestic violence and referral service agencies in Massachusetts. 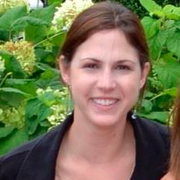 Recent graduate of Suffolk University Law School. Sitting for the July, 2014 bar.